Do you get nervous about making more complicated blocks? This is a "sampler" class with dozens of block options. 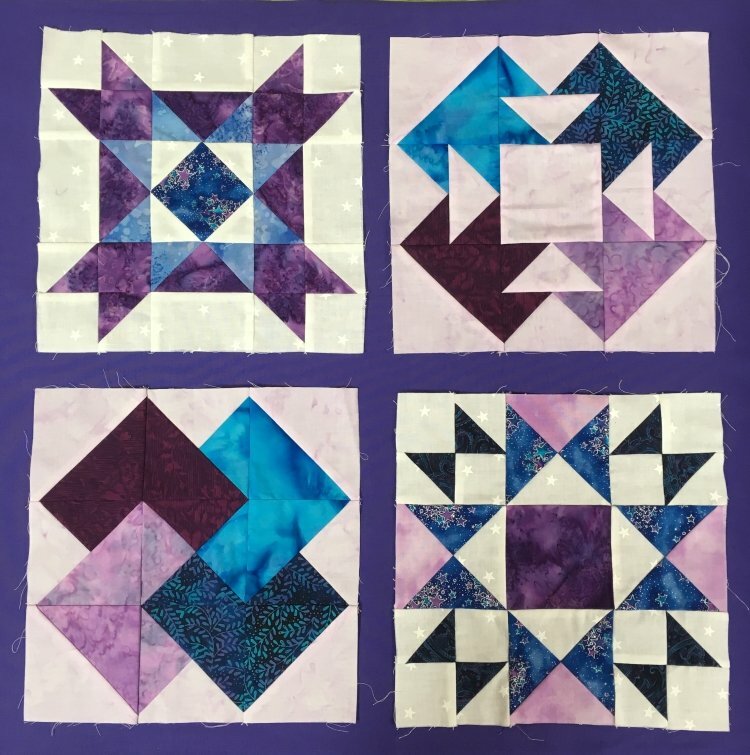 Explore different techniques while assembling components like half square triangle squares, quarter square triangle squares, flying geese, paper piece units, mitered borders, mitered binding and more. This is a 3 day class. This is a 3 session class. Please call (928) 282-2057 to pre-register. Space is limited.